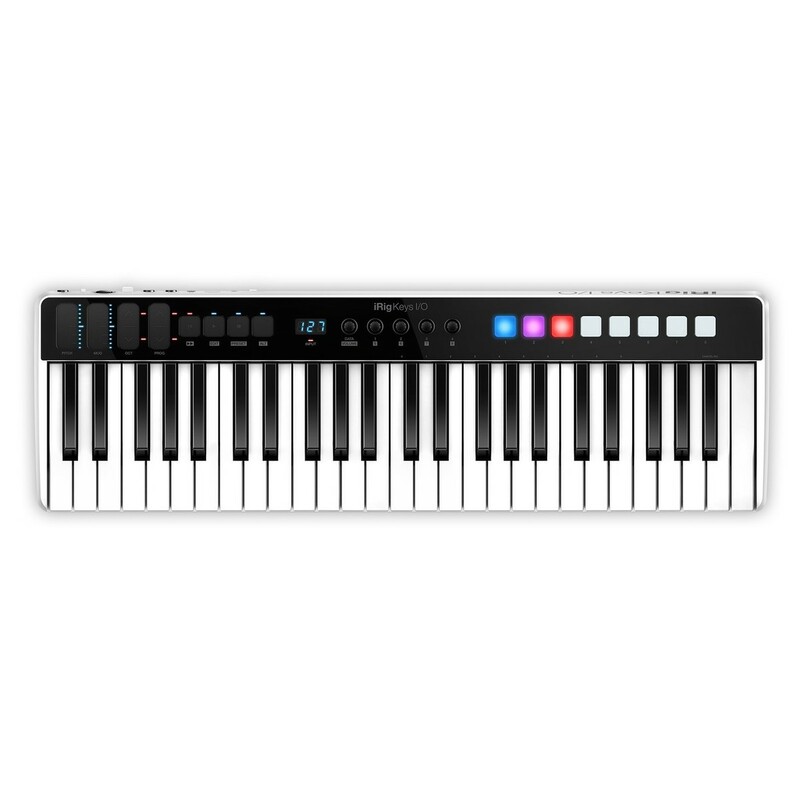 The iRig Keys I/O 49 is a 49-note MIDI/USB keyboard featuring 8 velocity-sensitive pads and a range of in-depth controls. The iRig Keys 49 also boasts an integrated audio interface, which turns your keyboard into a portable home studio, for playing, recording and editing. The full-size and velocity-sensitive keys provide fluid playability, ideal for a range of musicians. The rear of the iRig Keys 49 MIDI Controller Keyboard features a Neutrik combo input for connecting line-level instruments, guitars and microphones. The keyboard is also MFi certified, meaning you can connect the keyboard to your iPad or iPhone device. The ultra-compact design makes it highly portable and it can be powered by USB bus power or via 4 x AA batteries for added flexibility. 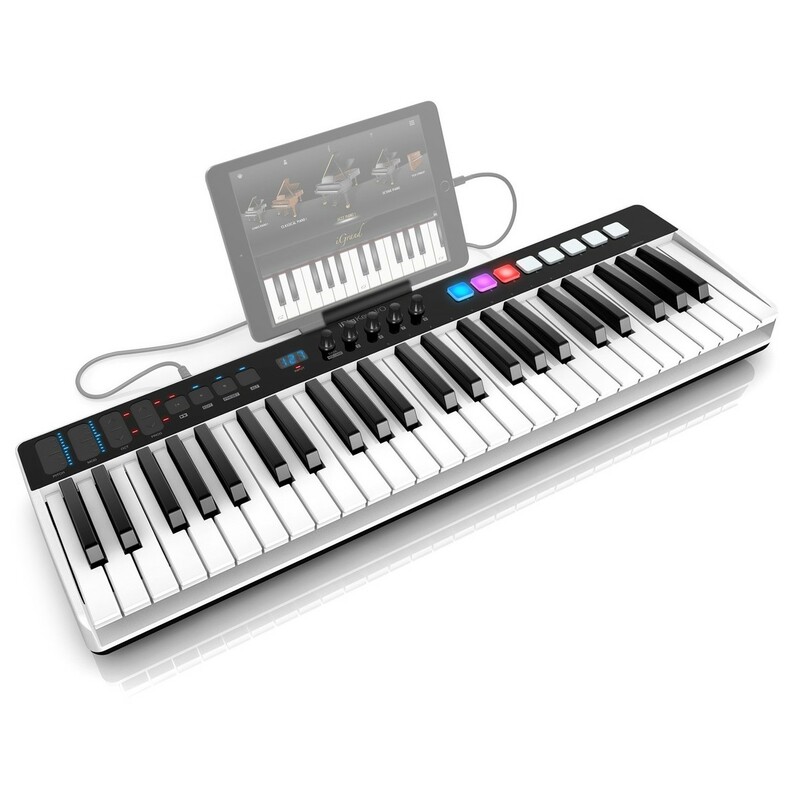 The iRIg Keys 49 is ideal for the digital musician on the move, as well as for home recording setups. 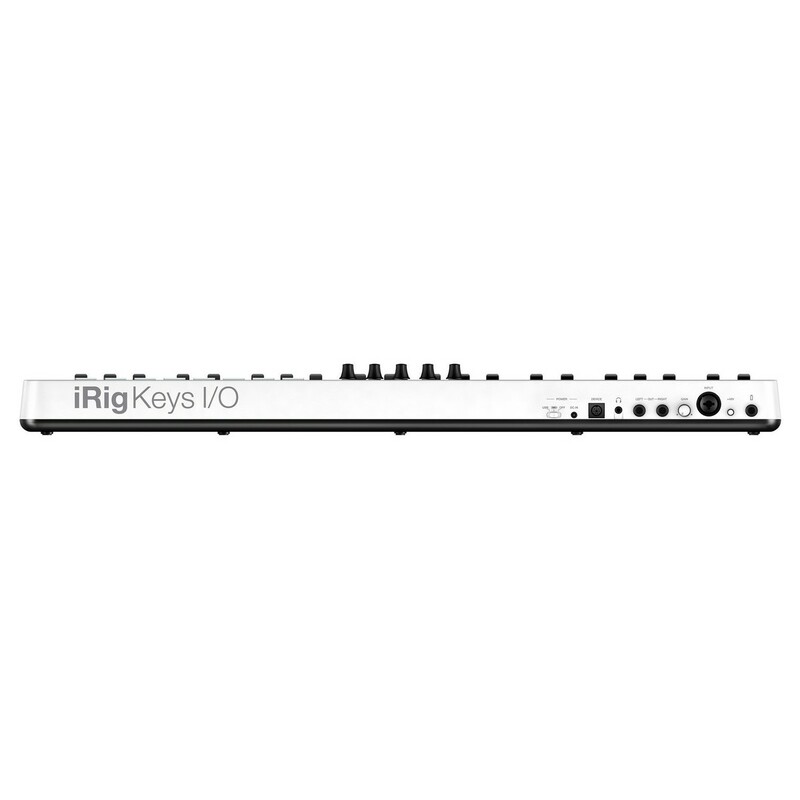 The iRig Keys I/O 49 features a velocity-sensitive keybed with 49 full-size keys for fluid playability. 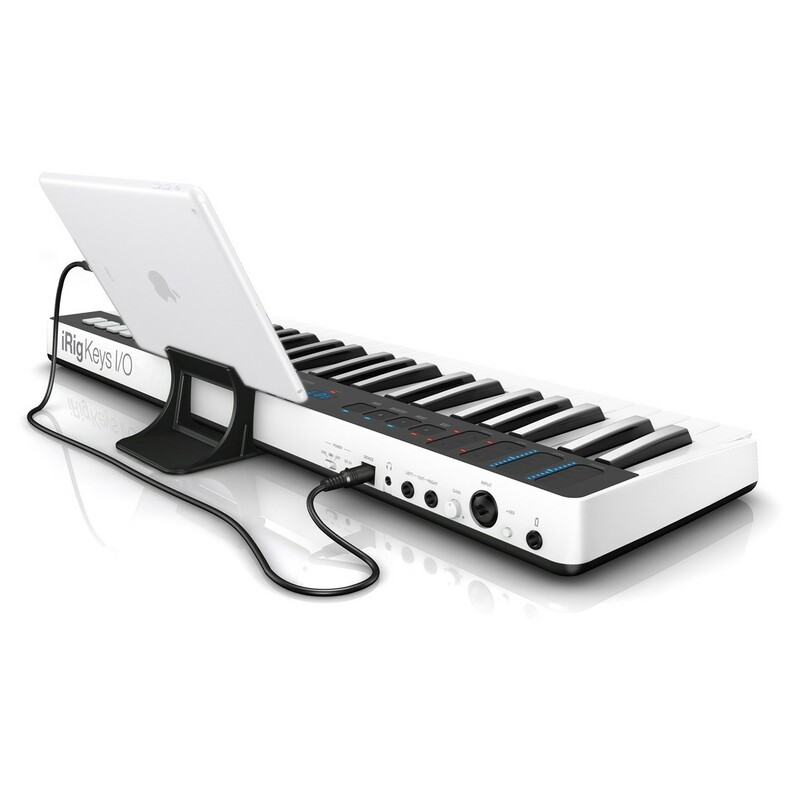 The keybed itself is ideal for both digital musicians and those moving from pianos and keyboards, giving you a highly responsive keybed that reacts like a digital piano. It also boasts 8 velocity-sensitive, multi-coloured pads which are ideal for finger-drumming, triggering samples and more. 5 programmable touch-sensitive knobs are also included which allow you to control parameters within your DAW, for changing volumes, automation, virtual instrument parameters and more. There also 2 slider strips for pitch and modulation, as well as standard program change, octave and transport controls. The compact yet elegant design is highly portable and features an integrated audio interface with a range of connectivity. One of the most unique features of the iRig Keys 49 is the integrated audio interface. This interface boasts a wide range of connectivity, and turns you keyboard into a mobile studio. The interface provides you with a range of I/O, with sample rates up to 24-bit/96kHz for exceptional audio fidelity. The interface can also be used with other devices apart from computers including iPhone and iPad devices. It boasts a Class-A preamp and built-in 48 Phantom Power, ensuring you get the best possible quality and performance from your condenser microphones. The Neutrik input can be used for line-level instruments, guitars and microphones for optimal versatility. Also included is a stereo output, allowing you to connect the keyboard to a PA or mixer. 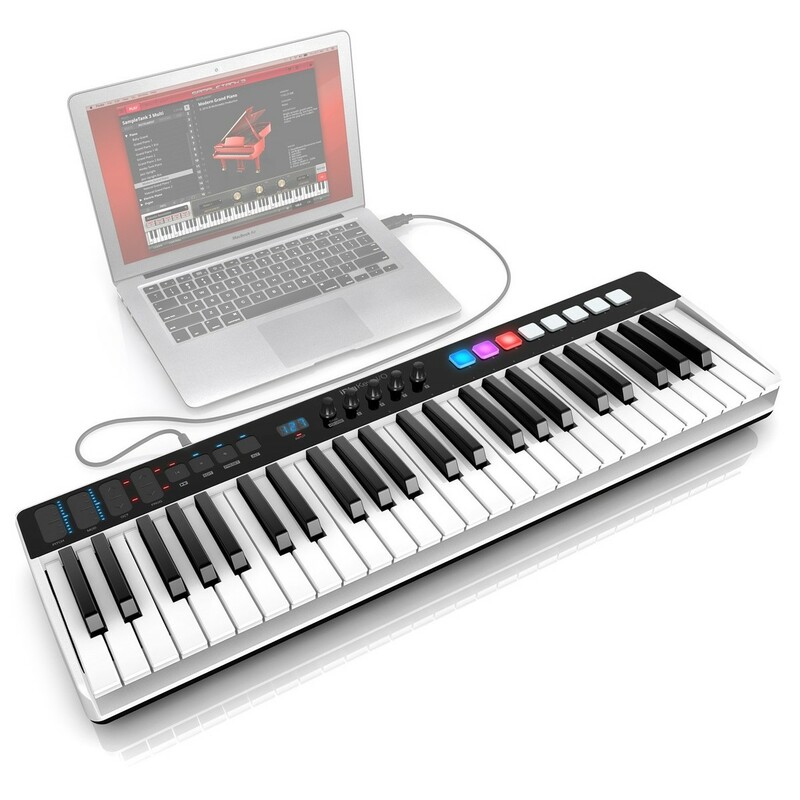 The ultra-compact size of the keyboard controller, makes it ideal for the musician on the move. The integrated audio interface and compact size turns the controller into a portable, digital studio; allowing you to play, record and edit wherever you go. It is also MFi certified by Apple, meaning it will integrate perfectly with the iPhone and iPad, and comes complete with a Lightning cable. A headphone output is also included for private monitoring and playing. The keyboard itself can be powered via USB, 4 x AA batteries or with the optional external power supply. 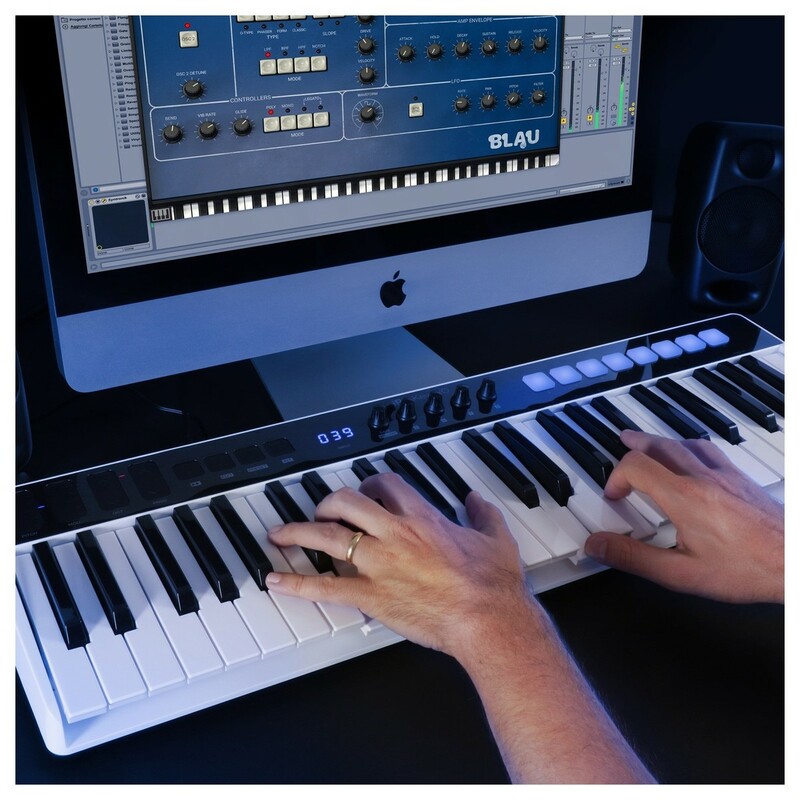 To get you started straight out of the box, IK Multimedia have included a wide range of audio software to accompany your keyboard controller. The thing that sets it apart from other software bundles, is that all these ones are full versions of the software. It includes the full version of SampleTank 3 sound and groove workstation, T-RackS 4 Deluxe mix and mastering suite, Syntronik Pro-V vintage synthesizer and Miroslav Philharmonik 2 CE* orchestral workstation. In total, you get 13 full plug-ins, spanning over 5,000 sounds and 43GB worth of samples.